For Rent Spacious Office in Indigo Icon Tower with One parking space located in Jumeirah Lakes Towers. Each office affords stunning views of surrounding lakes and waterways. Beside some major shopping hubs can be found in the nearby areas of JLT such as Dubai Marina Mall, Dubai Pear Mall, Mall of Emirates and Ibn Battuta Mall. 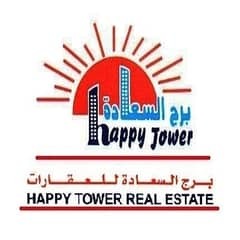 HAPPY TOWER REAL ESTATE provides our clients with a one-stop shop to Dubais progressing real estate market. Our management and agents have years of experience in the Dubai property market. Hence, in a short, we have earned a reputation as one of the most innovative and independent estate agents, providing our diverse client base from all over the world with unbiased advice and access to a large database of commercial and residential properties. We create a culture that leverages the strengthens, the relationship between fosters clients satisfaction, and gives us a framework from which to make decisions that lead to our mutual success. We are ideally positioned to offer a range of services, residential & commercial sales and leasing brokerage & off plan property sale, property developments & Investments property management, and other services.